Are Cyber Bandits Lurking in Your Cell Phone? Digital Camera? GPS? Would you like to earn lots of money in the comfort of your own home? Generate thousands in income in your spare time? • Stuffing envelopes. Lure: Earn big bucks — usually more than $1 per envelope — for folding papers and sticking them into envelopes. Trap: You will be asked to pay for your supplies or training. You’ll typically receive only worthless instructions suggesting that you con others into applying for envelope-stuffing jobs. Reality: Bulk mailers use machines to stuff envelopes. 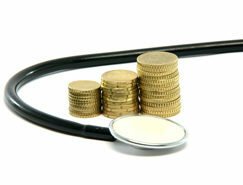 • Medical billing or insurance-claims processing. Lure: You can make big money processing medical paperwork. Trap: You will be asked to pay hundreds of dollars for the software and training required. Reality: The majority of medical offices process their own bills or outsource to large companies. Very few hire individuals. • Assembling crafts or sewing together clothing. Lure: Are you good with your hands? Then these companies claim to have a career for you. They will send you unassembled parts and instructions, and you assemble them and send them back. Trap: The company will ask you to pay a deposit up front because it needs assurance that you will do the work and return the assembled goods. When you send in your completed products, most or all will be rejected as not meeting specifications, and the company will keep your deposit. • E-mail processing. Lure: Earn big bucks by receiving email sent to the customer service websites of major companies, then forwarding these messages to the proper departments. For a fee, you can receive a list of companies anxious to hire you. Trap: This list will be worthless, perhaps just companies pulled at random from the Yellow Pages. Reality: Businesses usually do not hire individuals to work at home processing email. • Payment processing for international companies. Lure: A company with clients around the globe needs a US representative to handle incoming checks. You will receive checks from overseas, deposit them in your account, take a small cut as your fee, then send your own check for the remainder to your foreign employer. Trap: The checks you receive will bounce. By the time your bank informs you that there is a problem, the check you wrote will have cleared, and your “employer” will have disappeared. • Mystery shopping. Lure: Earn thousands of dollars by reporting on the quality of the service you receive in stores. Trap: Anyone who says that you can earn high pay mystery shopping is a scammer. They might be trying to con you into paying for mystery shopping information that you could find on-line for free. Reality: Legitimate mystery shopping assignments typically pay up to $10 an hour (in some cases, as high as $20 per hour), or perhaps you’ll receive a free restaurant meal or a token amount of some merchandise. For information on legitimate mystery shopping opportunities, see the Idea Lady website (www.idealady.com/sb.html). Variation: You are told that you are evaluating a financial company, such as a bank or money-forwarding service. You are then sent a large check and told to deposit this money in your own account, then wire some portion of the funds to the address provided. The check bounces, leaving you responsible for the money wired. • “We overpaid you with your first check. Please send the extra money back.” Your new employer “accidentally” sent you more than you were owed and asks you to send back a check for the excess. Sometime after you send this check, your bank tells you that the original paycheck bounced. Your “job” was a ruse to get you to send the “overpayment” check. • “You got the job! We just need your Social Security number so we can pay you.” It is perfectly reasonable for an employer to ask for a prospective employee’s Social Security number. Scammers take advantage of this by posting legitimate-sounding job offers on career Web sites, then stealing applicants’ identities. Do not provide your Social Security number until you have thoroughly researched the employer and are confident that the company and job opportunity are real. • Ignore work-at-home job opportunities that arrive unsolicited via email. Legitimate jobs are not advertised by spam. • Avoid offers that promise big profits without asking for specific skills or experience. • If someone trying to sell you on a business opportunity swears that there are dozens of potential clients in your region anxious to work with you, insist on speaking with at least two or three of them. If no names are forthcoming and/or these “prospects” don’t confirm their interest, move on. • Be skeptical whenever money heads in the wrong direction. Legitimate employers pay employees — they do not charge potential employees for training materials or interview fees. It is reasonable for a company to charge a fee if it is going to help set you up in your own independent business, but be cautious of these offers, too. Likewise, avoid any job that requires you to deposit checks or send checks from your own account. • Do a Web search to research any company. A legitimate company should have a professional-looking website (though this is no guarantee of legitimacy). You should be able to locate the company’s phone number and address, not just a post office box. The company website should not be the only place that the company’s name turns up on the Web. Skim the mentions of the company that your search uncovers. Do any of them say the company is a scam? Also, check with the Better Business Bureau (www.bbb.org). • Check the employer’s email address. Legitimate corporate email addresses usually end with the company name, not the name of a free Web-based email service. Example: The email address rwjohnson@xyxcorp.com is more likely to be legitimate than is rwjohnson18259@yahoo.net. • Consider how you would hire employees for this job, and how much you would pay, if you were the employer. If an offer made to you seems too good to be true, walk away. Bottom Line/Retirement interviewed Audri Lanford, PhD, codirector, Internet ScamBusters, a website devoted to informing the public about scams and cons, Boone, North Carolina, www.scambusters.org.